I've always loved red, in fact I am Aries and one of the colors of this zodiac sign is red. I bought this shirt few months ago at Bershka, I had kept it stored in my closet and I hadn´t used it.. until today when I was looking what to use with my new blue toe shoes, so I knew immediately that I should use that shirt again. In addition, it goes well with this TH purse that one of my best friends gave me! Siempre me ha encantado el color rojo, de hecho soy Aries y uno de los colores que caracterizan este signo es el color rojo. Esta camisa la compré hace un tiempo en Bershka, la tenia guardada en mi closet y no la había vuelto a usar.. hasta hoy cuando estaba buscando que usar con mis nuevos zapatos de punta azul y supe inmediatamente que debia usarla de nuevo, ademas que combina perfectamente con este bolso TH que me regaló una de mis mejores amigas! wow! Me parece que vas estupenda, de verdad! Acabo de descubrir tu blog y me chifla, muy guay, Te sigo! Pasate por el mio y sigueme si te gusta!! its not really preppy but its definetly cute!! Tu blog inspira muchisimo y realmente es estupendo! Me quedo con el bolso, es geeeeenial. Glad you pulled this out of your closet, it is such a cute outfit. 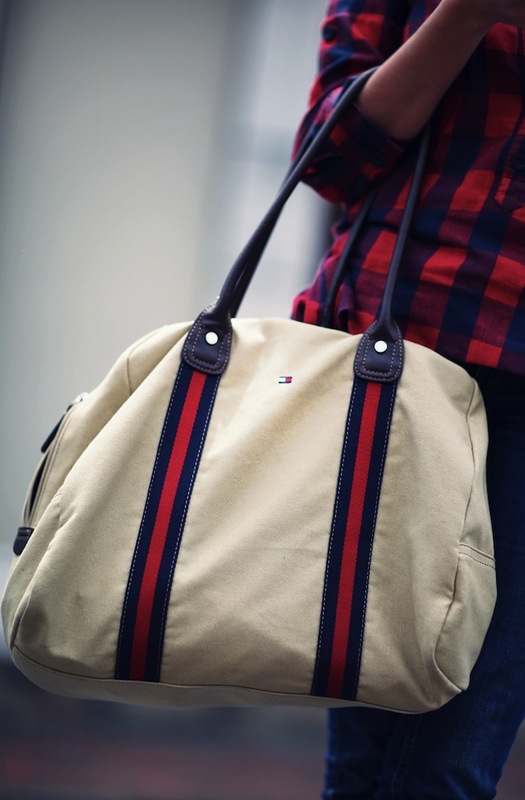 The Tommy Hillfiger bag is adorable and I love LOVE the shoes! You really look great! 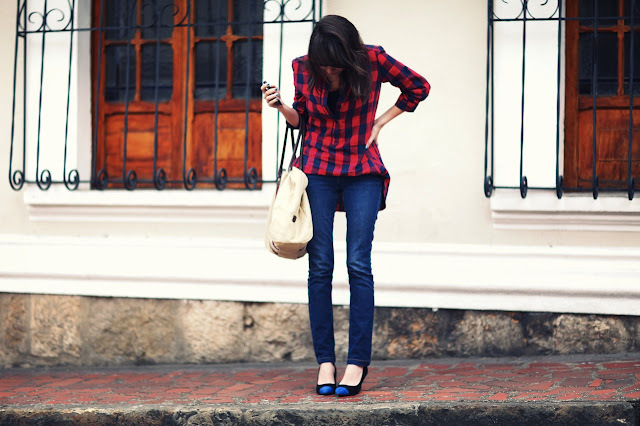 De hecho acabo de notar que tus piernas se ven geniales con esos jeans. 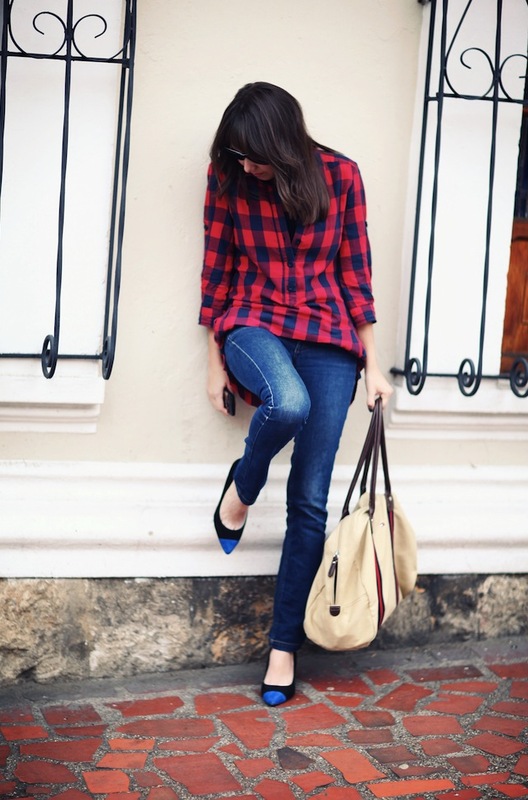 Hola juli tu look de hoy me parece un acierto total me encanta como queda la camisa con tus zapatos te ves muy linda!!! 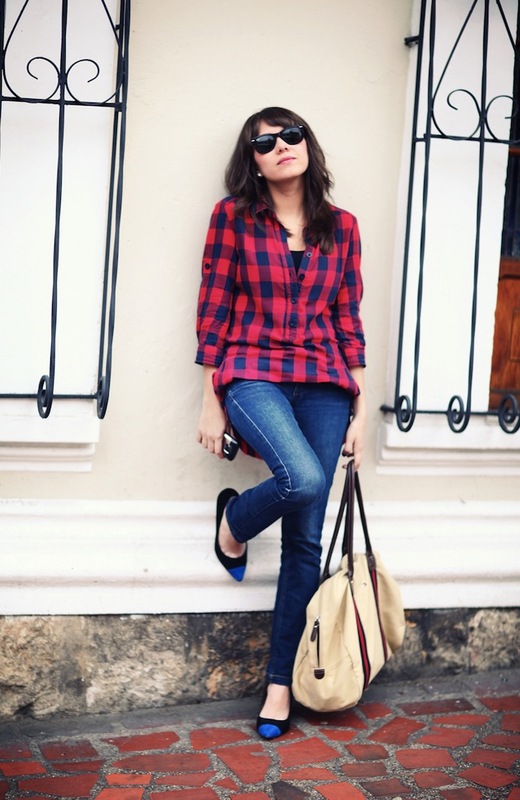 Casual and smart! I love this outfit, <3 for the shoes ! Thank you so much for following Juli Photo Diary! I really love your blue toed shoes! 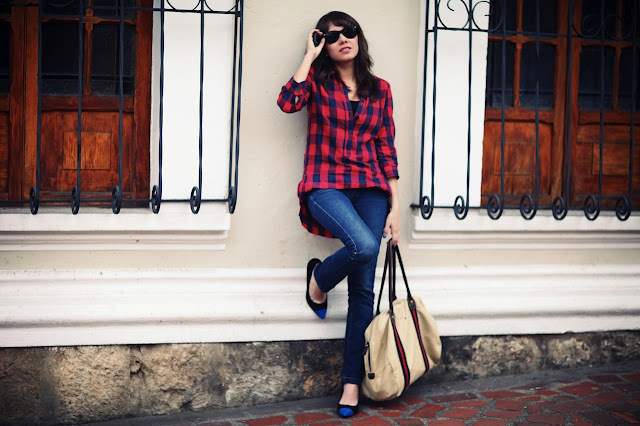 Very cute and looks great with the red plaid. Such a fabulous outfit! You really have an exquisite style! Estube viendo algunos de tus post y tienes un estilo super chevere! Oh my goodness Juliana! Your blog is fantastic, I really wished my blog was more professional like yours. Do you have any tips? And how did you get all your followers? I am still learning, haha. Thanks for giving my little blog some love thou!! Amazing your looks as well! I really like your shirt ! Moi j'aime beaucoup tes tenues, et surtout tes chaussures :) Bisous bisous, je deviens membre ! The bag! Oh God, so beautiful!